On October 25, 1995, two men in their late twenties – code-named Gil and Ran – left Tel Aviv on separate flights; Ran flew to Athens and Gil to Rome. At each airport they collected new British passports handed over by local sayan (assistants to the Israeli intelligence services) and then continued on to Malta on late afternoon flights. 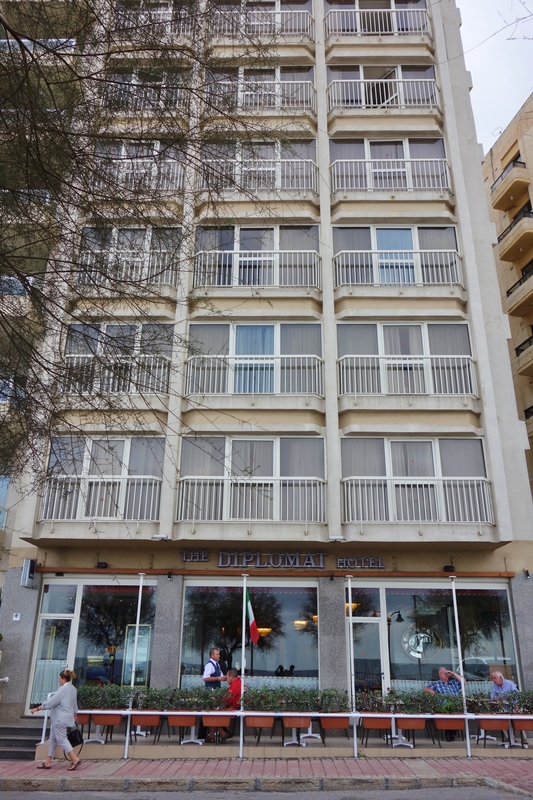 Both checked into the Diplomat Hotel in Sliema, near Valletta’s harbor. When one of the bellboys remarked that Gil’s Samsonite case was heavy, Gil joked that it was filled with gold bars. That evening a motorcycle was delivered to Ran – a dark blue Yamaha XT. He casually mentioned to the staff that he planned to use it to tour the island. The two men spent most of their time in their rooms and, later, no one at the hotel could recall the two men having had any contact. Also that evening a freighter which had sailed the previous day from the port of Haifa, bound for Italy, radioed the Maltese harbor authorities and reported that it had developed engine trouble and, while it was being repaired, the ship would remain anchored off the island. Unknown to the Maltese authorities, on board the freighter were a small team of Mossad communications technicians. They established a radio link with Gil, whose heavy suitcase had contained a small, but powerful radio. As an interesting “oh by the way,” the locks on Gil’s suitcase had to be opened counterclockwise to deactivate the fuses of two charges built into the top. They were designed to explode in the face of anyone who opened the case after turning the keys clockwise. During the night Gil received a number of radio messages on his “suitcase” from the freighter. The same day that Gil and Ran arrived in Malta also saw the arrival of another interesting guest to both Malta as well the Diplomat Hotel. Dr. Fathi Shiqaqi had arrived earlier on a Triploi-Valletta ferry, named Garnata, following a secret meeting with Libya’s, Muammar Gaddafi. 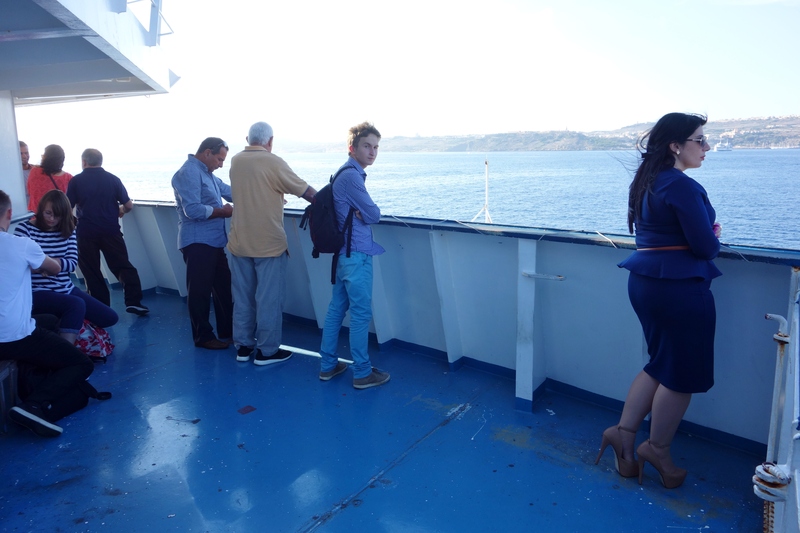 He had been accompanied on his journey to Malta by Libyan security men who, their responsibilities over when Shiqaqi came ashore alone, had stayed on board when the ferry arrived. Shiqaqi, having shaved off his beard on the ferry, wore a wig and identified himself to Maltese immigration officers as Ibrahim Dawish, showing them a fake Libyan passport bearing that name. 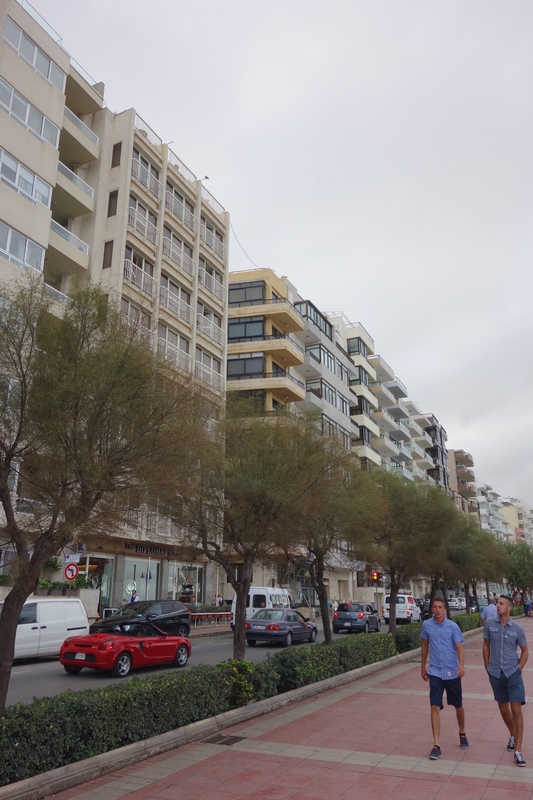 After checking in to the Diplomat Hotel, Shiqaqi spent the next several hours in seafront cafes, sipping cups of coffee and snacking on Arabic cakes. He made several telephone calls during this time. In short, Fathi Shiqaqi was the leader and one of the founders of the Palestinian Islamic Jihad organization – an extremely dedicated enemy of Israel. In 1948, during the Arab-Israeli War of that year, Fathi Shiqaqi’s family fled, in fear of being massacred, from what is now central Israel, where they had lived for generations. They were never permitted to return. As such, when Fathi Shiqaqi was born in Gaza in 1951, his family had already been refugees for several years. Nevertheless, the feelings of injustice at being driven from their home in 1948 undoubtedly continued to shape the family and certainly influenced Fathi Shiqaqi. Eventually moving to the West Bank, Shiqaqi excelled in the study of physics and mathematics at Bir Zeit University and, after graduating, taught these subjects at an orphanage in East Jerusalem from 1970 to 1974. Late in 1974, however, he moved to Egypt to study medicine – specializing in pediatrics – and received his medical degree in 1981. Upon becoming a doctor, he returned home and worked at Augusta Victoria Hospital in Jerusalem. 1981 would prove to be a pivotal year in Fathi Shiqaqi’s life as that was also the year that he co-founded the Palestinian Islamic Jihad organization (PIJ). The stated goal of the PIJ was the establishment of a sovereign Palestinian state within the borders of the British administered “Mandatory Palestine” that existed before 1948 (essentially modern Israel, the West Bank and Gaza). Interestingly, despite Palestinian Islamic Jihad’s fierce name, Shiqaqi would state in an interview with British journalist Robert Fisk that his intentions were not to establish an Islamic state, but merely to “liberate all of Palestine.” Perhaps further defying expectations, while the Palestinian Islamic Jihad was nominally a Sunni organization, it went to great lengths to recruit Shia Muslims and even Palestinian Christians. Fathi Shiqaqi even stated once in an interview, “We are only defending our right to live in our homeland … We lived in peace with Jews for centuries… I have no problem with Jews … But I will fight occupation.” Now, obviously, the preceding could simply have been propaganda for sympathetic Western ears, but it also may not have been and, either way, it is interesting to hear it. Undeniably intelligent, Fathi Shiqaqi spoke several languages, including Hebrew and “flawless” English, and could quote at length from works ranging from Shakespeare to Dante. However, as engineers and scientists often do, Shiqaqi viewed the world in a very black and white manner (look up the number of members in terrorist groups that have engineering backgrounds – the numbers are staggering). Given this unyielding mindset, Fathi Shiqaqi was convinced that only direct military action could accomplish his goals and rejected any and all other means of achieving the Palestine of which he dreamed. Although Shaqiqi reportedly issued guidelines prohibiting the killing of “innocent” civilians (Israeli settlers were an exception to this), innocents were killed by the PIJ. And Israel itself was not impressed by Fathi Shiqaqi’s opinion as to what was a legitimate target or not. As it grew, the Palestinian Islamic Jihad worked closely with Hezbollah and received training from the Iranian Revolutionary Guard. This training and support generated attacks by the PIJ that had an increasingly significant impact and led to a higher profile for Shiqaqi. Although Fathi Shiqaqi relocated to Damascus in 1990 – enjoying the protection of President of Syria Hafez al-Assad – the pace of operations against Israel continued to increase and by 1995 the Palestinian Islamic Jihad was reportedly considered by Israel to be the most extreme of its enemies. Israel apparently decided that enough was enough. The next morning, October 26, 1995, Shiqaqi went out shopping at Marks & Spencer and several other stores (he had promised to purchase some shirts for his sons). Just as he reached the Diplomat Hotel, two men on a dark blue Yamaha XT motorcycle slowed beside him. One of them called out his real name and when the Islamic Jihad leader instinctively turned, he was shot in the head six times at point-blank range (a signature of Israel’s assassins, the kidon) with a pistol fitted with a silencer and a device to catch the spent cartridges. Shiqaqi died instantly. 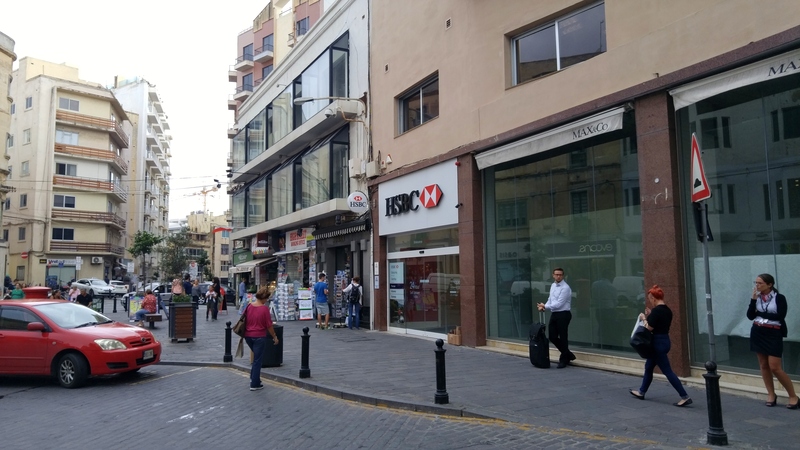 The men on the motorcycle sped off and the Yamaha XT, which was later determined to have been stolen the day that Gil and Ran arrived in Malta, was found abandoned in Tigne Point. An hour after the assassination, a fishing boat chugged out of a nearby harbor and dropped anchor alongside the above-mentioned freighter. Shortly afterwards the captain of the freighter informed the Maltese harbor authorities that the engine malfunction had been temporarily fixed, but the ship was returning to Haifa for further repairs. Some people love Israel and some people hate Israel. Regardless of which side you are on, you must respect Israel. In Iran, the largest supporter of Dr. Shiqaqi and the Palestinian Islamic Jihad, a day of national mourning was declared shortly after the news broke. The Palestinian Islamic Jihad organization followed by vowing revenge and lifted the restriction on killing innocent Israelis that had been imposed by Fathi Shiqaqi. Fathi Shiqaqi’s funeral in Damascus on November 1, 1995 was attended by an estimated 40,000 people. Malta was less sanguine than Israel and an emergency cabinet meeting of the Maltese government was convened on November 3, 1995. Malta had three immediate and significant concerns: its own internal security, the security of its diplomatic staff abroad (there was a real fear that Malta would be held responsible for the assassination that had taken place on its soil by the Palestinian Islam Jihad or those sympathetic to them), and its trade relations with the Arab world, particularly Libya. The incident created a variety of concerns, principally centered on the renewed and potent proof that the deadly Arab-Israeli conflict could manifest itself on the island. Malta had already been linked to the December 1988 Lockerbie bombing – the bomb that destroyed the Pan Am 103 Jumbo Jet, killing 270 people, likely originated on the island – and this latest development was most unwelcome. Tags: Assassination, Colonel Gadaffi, Diplomat Hotel, Dr Fathi abd al-Aziz Shaqaqi, Fathi Shikaki, Fathi Shiqaqi, Islamic Jihad Movement in Palestine, Israel, Malta, Mossad, Mossad Assassination, Mossad's Greatest Hits, Muammar Gaddafi, Palestinian Islamic Jihad, Sliema, The Assassination Of Fathi Shiqaqi, Tigne Point, Valletta. Bookmark the permalink. I heard or read somewhere that gil and ran arrived or left on a speedboat. Do you know what I’m talking about? Yes, there was an article in Soldier of Fortune magazine that was written by Neil Livingstone and David Halevy referencing this. 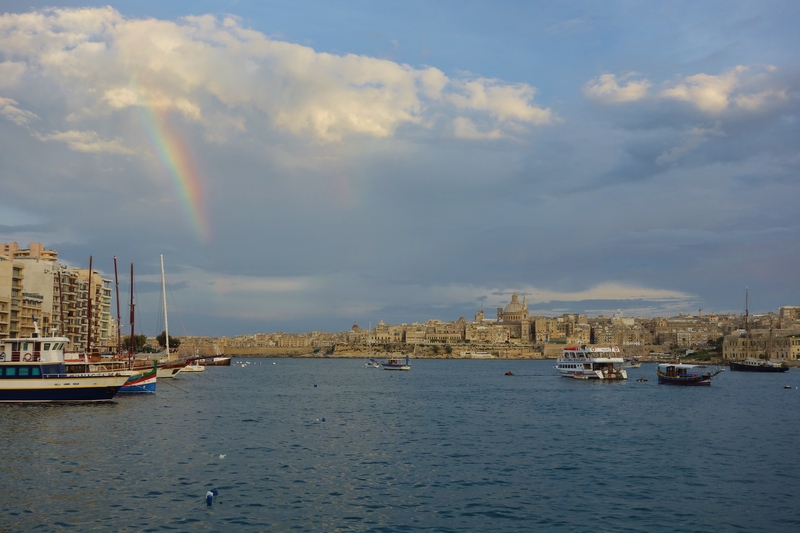 According to Livingstone and Halevy, Gil and Ran arrived in Malta by speedboat from Sicily. After abandoning the motorcycle, following the killing of Fathi Shiqaqi, they then boarded a speedboat once again that returned them to Sicily. Upon arriving in Sicily, they soon boarded a private jet that whisked them back to Tel Aviv. Although the before and after versions of Gil and Ran’s arrival and departure may differ slightly, which is understandable given their efforts and those of the Mossad to cover their tracks and confuse matters, every other detail of the assassination has been very reliably confirmed. I went with the “flying in and freighting out” scenario as this has been repeated and confirmed by a variety of sources, while the “speedboat” scenario is only developed in the Soldier of Fortune article. That is, I should hasten to add, not to say that the “speedboat” scenario is incorrect – I wasn’t there. Do we know what “he” (I’m not even going to try and remember hot to spell his name) was meeting Gaddafi about? Eh, well, that’s not so easy as we are dealing with characters that wished to surround themselves with as much secrecy as possible and certainly didn’t share the minutes from their meeting with the world at large. The most widely accepted version of events is that Dr. Shiqaqi was visiting the late “Brotherly Leader” in order to secure financing for ongoing operations. However, the Independent (UK newspaper) published an article stating that the assassination of Yasser Arafat was discussed (with Iranian intelligence officials a part of the discussion) and that the Mossad assassination of Dr. Shiqaqi actually saved Arafat’s life. Connected to this plot are persistent rumors that the Mossad was actually tipped off by the PLO on Shiqaqi’s location and travel plans… This is actually not as outlandish as it sounds if you read the details in the Independent article. Wow. Thanks for the response. I want to add something about Carmelo Bartolo because this had a big impact on my life. You alluded to the tensions in Malta following the assassination but didn’t say if anything happened. There may well have been a killing or terrorist attack (call it whatever you want) against Malta as a reprisal for the death of Dr. Fathi Shkaki. In the early hours of the 3rd December 1995 a light single-engine Piper Lance aircraft, piloted by Carmelo Bartolo, left Djerba Airport, Tunisia, with five passengers and a pilot on board. The plane would never arrive at its destination and there remain a number of mysterious aspects of the crash. The connection to the assassination? Carmelo Bartolo was the owner of two small private Maltese airlines, Excelair and Sun Aviation. Five weeks earlier, the Maltese press had implicated him, wittingly or not, in the assassination of the leader of Islamic Jihad, Fathi Shkaki. The impression was given that Bartolo may have assisted members of the Israeli secret service, Mossad, to escape from the island in the hours following the killing of Fathi Shkaki on 26 October 1995. “Among those disappeared were 38-year-old engineer, Desmond Boomer. 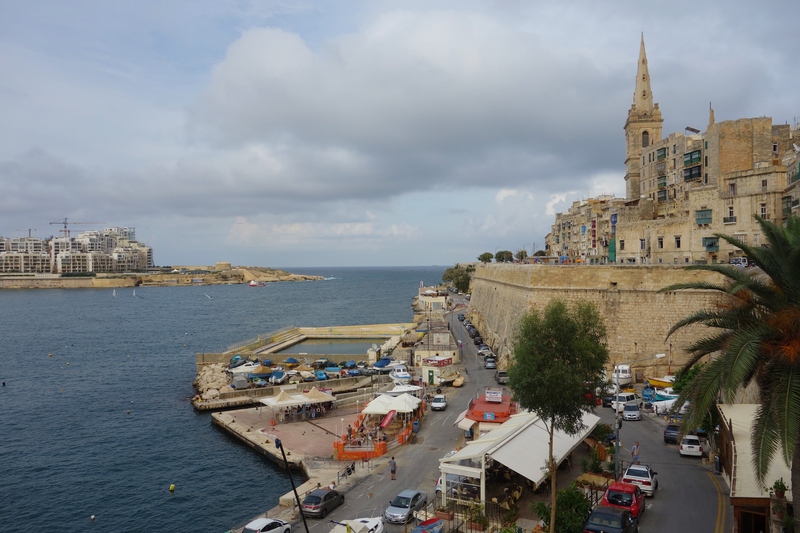 His travelling companions were English engineer Michael Williams (49), Polish national Tadeus Gorny (48), and Maltese nationals Philip Farrugia (43) and Matthew Aquilina (22). The pilot, Captain Carmela Bartolo (47) was also Maltese. Desmond Boomer was originally from Andersonstown, West Belfast in Northern Ireland and he lived with his wife and five children in Banbridge in Co Down, Northern Ireland. Desmond worked in the Libyan oil-fields for UK-based company, MAPEL Engineering. Because of UN sanctions against Colonel Gaddafi’s government, following the Lockerbie bombing, foreign workers could not fly directly to Libya. Small planes usually ferried MAPEL employees along a, possibly illegal, route between the Mediterranean island of Malta and Djerba Airport, Tunisia. Desmond Boomer was en route home to Belfast for his Christmas holidays when he and the other passengers disappeared. I don’t want this aspect of the case to get overlooked. I’m a Maltese citizen and I followed Carmel’s case to a T, I knew his family too, you might be right in the assumption that he flew them out of Malta, it was also a rumor here, but I can bet you that Carmel never knew who he was ferrying from Malta. He was a paid private pilot and it could have been me and you who asked him to pay for a filght.